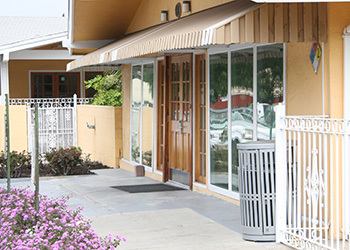 Seacrest Convalescent Hospital has been serving the community for over 40 years providing compassionate and personal skilled care 24 hours a day. We specialize in providing rehabilitation services onsite to help our residents regain their independence and return to their homes. We will provide an interdisciplinary approach to patient care. We put an emphasis on staff training and development so that we employ the most outstanding people to care for your loved ones. What makes Seacrest Convalescent Hospital unique, and separates us from other facilities, is the ability to provide person-centered care with a loving touch. This is accomplished by having attentive and caring staff assembled. Your loved one is somebody special who deserves the very best and who will be treated with the utmost respect and dignity. The rehab team at Seacrest Convalescent Hospital has well-qualified physical, occupational and speech therapists who work with some of the most complex post-surgical care needs and have helped countless severe stroke patients restore to their highest level of function. We look forward to caring for your or your loved one’s needs and appreciate your trust in allowing us to care for you. Visitors are welcome every day of the week. Experience the Difference, contact us today!